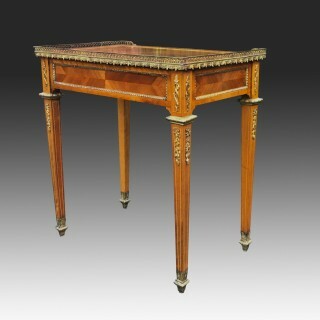 It has a book matched, veneer in kingwood on the top, surrounded by a band of walnut and a cross-band of kingwood. 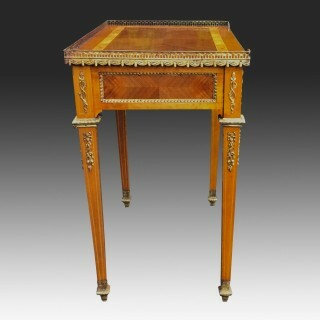 There is a small ormolu gallery surrounding three sides of the doeskin a ‘swag design’. 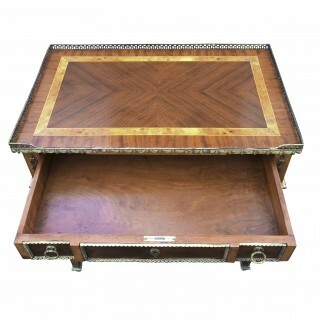 Below this is one, full width, drawer with the original handles. 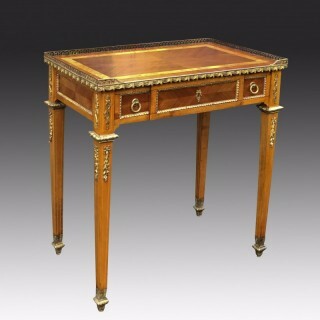 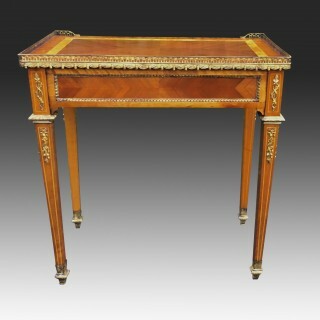 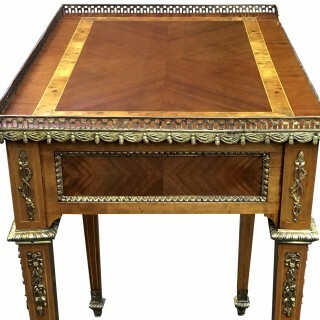 Excellent antique condition; This beautiful small antique desk has been sympathetically restored, including French polishing, waxing and cleaning the original ormolu mounts.